Welcome to Nordic Hardwood Flooring. The flooring experts at Nordic can bring the experience and expertise of a lifetime to your home. Responsive and reliable, we work in harmony with design and decor. And our work is fully insured. Nordic's office is located on Rte. 3 just outside the borough of West Chester. For over 30 years our approach to business has been a hands-on, owner operated philosophy. We have always stood behind our work and will continue to do so. Our goal at Nordic Hardwood Flooring is to continue providing consistent quality work and good communication with our customers, ensuring that jobs run smoothly with as little inconvenience to you as possible. Contact Nordic to discuss all aspects of your wood floor project. 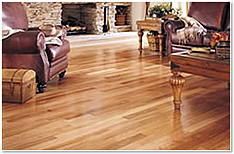 Looking for a wood flooring professional?